Learn more about the main attractions of Gijón and don't miss a thing! The Hotel Alcomar welcomes our guests in a privileged location. From the heart of Gijón, our Hotel offers a fantastic view of the San Lorenzo beach and the maritime promenade. The elegance of its facilities and the attentive service are the hallmarks of a hotel that offers everything you need to enjoy a perfect stay. Its airy rooms, featuring warm and welcoming spaces, have been designed to make you feel at home. They present a wide range of services including Wi-Fi, safe, TV and a complete bathroom with toiletries. In addition, the Hotel Alcomar has facilities such as its event rooms, perfect to host conferences and professional meetings and its cafeteria, where you can have breakfast or relax while you drink something. 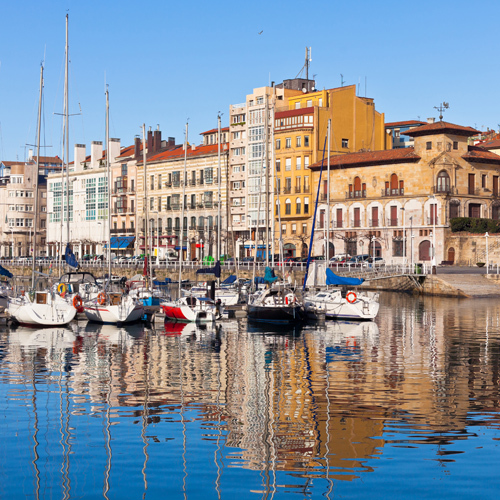 Right on the Atlantic coast, Gijón offers an enchanting combination of history, culture and gastronomy. The Alcomar Hotel is located in the center of Gijón, a location that puts at your fingertips the main attractions of a city that we invite you to discover. Cozy spaces to unwind and rest. Attentive staff at your disposal. Hold succesful events in the best scenery. Right in the centre of Gijón.